Upon purchase you will receipt an email receipt with a link to 2 online surveys. 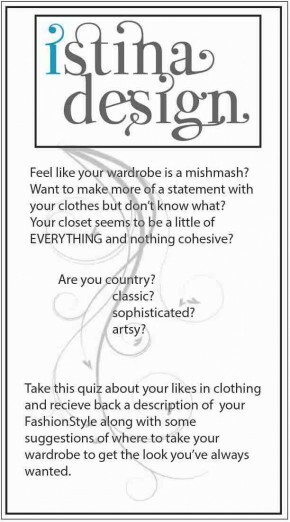 1- an analysis of your particular FashionStyle. 2–some suggestions on how to focus your shopping to achieve that look.